Deadline to submit proposals for a 2018 program is September 5, 2017. When submitting, please choose ASCLA as the division you’re proposing your program to. The link to the submission site will redirect to the ALA log-in page. All submitters are required to have an ALA profile, but are not required to be ALA members. See the submission site for additional instructions and how to submit. Please contact the committee with any questions. I look forward to seeing those of you who will be in Atlanta for the Midwinter Conference this year. As many of you know, this is my last conference as ALA staff since I’ll be retiring at the end of April 2017. It has been a wonderful 7½ years getting to know ASCLA members and working to carry out the mission. I am leaving ASCLA in a stronger place – everyone has stepped up to the plate over the last few years and membership has increased and the association has strengthened. You and the association mission are why people want to join. I have felt that ASCLA is the heart and soul of ALA – it has truly been a pleasure and a privilege to serve you. I hope those of you who will be in Atlanta for Midwinter will take time to visit with us at the ASCLA Happy Hour on ASCLA/COSLA Happy Hour, Friday, January 20, 2017, 7:00 PM – 8:00 PM, Omni Hotels and Resort’s Latitudes Lounge at 100 CNN Center. This is a great opportunity to network, mingle, meet up with old acquaintances (and find some new ones!) and have a little bit of fun. ASCLA’s leaders and volunteers will be available to talk about ASCLA, so be sure to bring a friend or anyone interested in learning more about or joining ASCLA. One of ASCLA’s strengths is that our small size allows us to network and connect with each other better than some of the bigger divisions, and with more fun! All members and visitors are welcome and encouraged to come. If you’re interested in volunteering for ASCLA, you might also want to attend the ASCLA All-Committee meeting held on Saturday, January 21, 2017, 3:00 PM – 5:30 PM, Room: Georgia World Congress Center, A410. Many of our committees and interest groups will be meeting and this is a great way to learn more about ASCLA’s work. All are encouraged and welcome to come to these meetings. Again, I want to thank every ASCLA member and volunteer for their dedication, loyalty and for just being such wonderful people! You are all a joy to work with! I’m going to miss you! Friday, January 20 7:00 PM – 8:00 PM Room: Omni Hotels and Resort’s Latitudes Lounge at 100 CNN Center. Bring a friend – everyone is invited. Cash Bar. I hope to see you all in Atlanta! If you will be in Atlanta at Midwinter 2017, please try to attend this series of conversations on accessibility for people with physical, mobility, visual, auditory or cognitive disabilities. 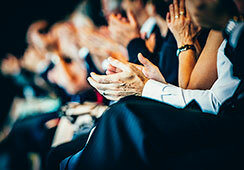 All conference attendees are encouraged to take part, whether or not they use accessible services. More information here. You all have a very happy holiday and new year! This session will provide an introduction on how libraries can strengthen their roles within the communities they serve through health outreach using ALA’s Libraries Transforming Communities (LTC) initiative. Learn about free and reliable health information resources and ready – to – use materials. The focus will be on teaching libraries how to proactively create a culture of health for their users. Attendees will leave this session with resources to begin health outreach implementation at their library. Co-sponsored by ASCLA’s Consumer Health Information Librarians Interest Group. To register, you can include with your initial registration or add them later using the unique link in your email confirmation. If you don’t have your registration confirmation handy, you can request a copy by emailing alaregistration@compusystems.com. To register for a institute/preconference only, select Single Session on the third page of the registration process which is a $0 fee. In light of the recent events in Orlando that have become far too common in our society, ASCLA would like to invite you to an active shooter awareness training at Annual this year. In addition, our past president was featured on the Dewey Decibels podcast in May discussing this topic. Information about the program and access to the podcast are below. Active Shooter Policies in Libraries Program: Be able to complete an environmental scan to identify potential risk areas at your library, as well as write an active shooter policy/procedure for your library. Most libraries have policies dealing with a problem or unruly patrons. Find out how to protect your patrons and staff from a darker problem, someone intent on inflicting actual physical harm. The NDSL active shooter procedure will be presented as a model as well as tips for writing your policy. Speaker: BreAnne Meier, North Dakota State Library, Date: Saturday, June 25, 10:30 – 11:30 a.m. Location: Orange County Convention Center, W101B. Schedule it. 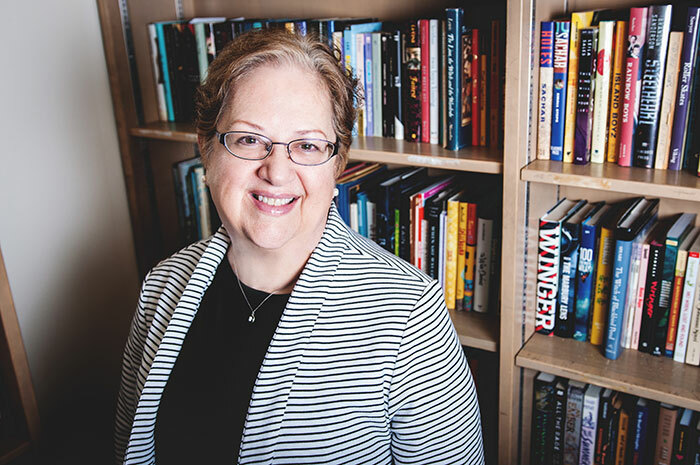 ASCLA Past-President in the News: Active Shooter Training: ASCLA Past-President Kathleen Moeller-Peiffer (director of New Mexico State Library) speaks in the Dewey Decibels, episode 2 podcast, May 23, 2016, about library security and making your space safer! Listen to the podcast here (at about 38.23) as Kathleen explains about some of the active shooter training programs she made available to her staff at the New Mexico and New Jersey state libraries. She talks about the programs’ usefulness for frontline staff and the model that was used at Scott County (Ky.) Public Library. Do you have innovative ideas, services and programs to share with your library colleagues? Why not present one at the 2017 ALA Midwinter Meeting and Annual Conferences? Submit a proposal to the Association of Specialized and Cooperative Library Agencies (ASCLA) today! The 2017 Midwinter Meeting, January 20 – 24, 2017 will be in Atlanta GA, and the Annual Conference, June 22 – 27, 2017 will be in Chicago IL. The deadline to receive online proposals for 2017 is June 13, 2016. The link to submit a conference program/preconference/institute proposal is here: https://www.surveymonkey.com/r/ASCLA2017Proposals. Once collected, the ASCLA office will send the proposals to the ASCLA Conference Programming Committee to oversee, organize and recommend for approval to the ASCLA board at Board Meeting II at the Annual Conference in Orlando FL, 2016. Please feel free to contact Susan Hornung at shornung@ala.org if you have any questions. All members are invited to join us for a riveting discussion with Stephanie Capparell, coauthor of the international bestseller, Shackleton’s Way. Saturday, January 9, 10 – 11:30 a.m.
Open to all current ASCLA members, students, friends of ASCLA and those meeting attendees interested in learning more about the association and networking with peers. Friday, January 8, 7- 8 p.m.
ASCLA 2016 Midwinter Meeting Institutes! Our full day workshop will help the current and prospective library consultant create a business that is sustainable and most of all useful to the profession. Sponsored by the Association of the Library Consultants Interest Group of ASCLA. Read more. Purchase a ticket. Friday, January 8, 8:00 a.m. – 4:00 p.m.
ASCLA’s interactive half day workshop addresses the ongoing need that all libraries face to encourage professional development and growth amongst staff. Sponsored by the State Library Development Interest Group of ASCLA. Friday, January 8, 9:00 a.m. – 1:00 p.m.